Montenegro's Eurovision 2016 participation is "questionable"
When it comes to Eurovision, wiwibloggs is as excited as Scrat from Ice Age for a hazelnut. Our excitement bubble burst though when we got some exclusive news from Montenegro’s delegation. As you can see from this exclusive statement, RTCG is not happy with the Reference Group’s decision. We hope the things will sort out for everyone’s good, and that Knez’s successor will be present in Sweden. Knez achieved Montenegro’s best result in the history of the contest, qualifying ninth from Semi-Final 2 and finishing 13th in the final with 44 points. wiwibloggs hopes Montenegro and the Reference Group can work toward a solution and we can see them in Sweden in 2016! ??? ???????,??? ?? ???,??? ?? ???????????????? ??????? ??,??? ??????? ????????????,??? ??????? If you have corruption is YOUR problem Montenegro, don’t blame Eurovision. Fair play, PLEASE. Oh no. Montenegro was the saving grace this year and Adio was one of my favs this year. They’ve been doing much better these years, keep it up! @Deniz: Aye! Knez’ “Adio” was one of my top 5 picks to win it all. We can’t afford to lose them, now that they have the formula for possibly scoring a top-10 finish. You cheat, you deal with the consequences. It’s too easy to cry afterwards, and I certainly won’t shed a tear if Montenegro is excluded (although the first cheaters to be excluded should be Azerbaijan). Thank you for the info about FYRMac – can I ask where you got that information from? I was keen to find out what form the vote fixing had taken – the obvious or the more subtle varieties. From what you say though, they practised the obvious variety. Apparently, all FYR Macedonia jurors had Serbia 1st, Montenegro 2nd, Slovenia 3rd and Albania last. You don’t happen to know if anyone has a copy of FYRMac’s jury votes for 2015 do you? I would be very interested in seeing those too. Thanx. Montenegro jury results are real, someone screenshotted them before they were removed from eurovision.tv. 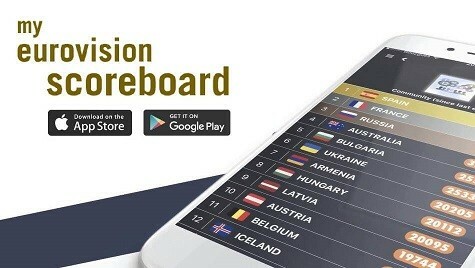 The table was posted on one Eurovision website only few hours after the final. And here you can see their jury top 10 (left column), Ivan Maksimovic from RTCG published them on his Facebook account. They match. And I agree, Azerbaijani jury results are also suspicious and EBU should have done the same thing as with Montenegro and Macedonia. I hope that the problem will be solved soon.. Like Georgia last year. Our world just said *Adio* to the famous briliant soundtrack composer of ‘Titanic’ Mr. James Horner… He just died in a plane crash sadly..
His soundtracks were the best…His GreAtY music will BE missed..
We just do not know how much time we have to live in this world because we say adio once and 4ever….Just appreciate life even if its hard and just live 4 now….Might there is no tomorrow 4 anyone of us..
Just live our lifes to the maximum we can get like armageddon is coming to us the very next day..
What Montenegro did wrong (probably Macedonia too) is that the jurors did not check each others results to avoid giving the exact same place to a certain country. Azerbaijan for example did that and was ok, others too. The trick is 3-4 jurors order a country around the place it should be and 1-2 remaining ones go a little wilder with its placing. Preferably not the same jurors respect the order and not the same go a little wilder. Please stay Crna Gora! You have a good formula and it would be a shame to leave especially now! @khm – can you prove that is the actual Montenegro jury vote? Everyone is taking everything far too seriously. Losing Montenegro would be terrible for the contest as they do bring some special songs to the table. Jury in Azerbaijan voted in a very similar way this year, too. The EBU should have taken a look. EBU was right to throw out the jury’s votes if they were too similar. Juries are important & corrupt juries must be punished. If Montenegro can’t find one then Adio. If only this *ADIO* never ment to come.. So are we going to say ADIO in Montenegro or not?? Just so I have this straight … EVERYBODY was furious at the juries for costing Italy’s beller-fest the win. They were actually calling for the juries to be abolished because of how corrupt they were. Y’all cray. You know that? Oh come on, we gave Georgia a second chance so why not Montenegro? Please, land of Igranka, stay!! oh yeah, this is “very fair”. Well its their call…Just try to make them not withdraw from the upcoming next year’s Vision but if they insist to pull out then just let them as its their own decision.. The Reference Group is just as questionable in their decisions as the balkan juries tbh. The montenegrin and macedonian scores must have been way too suspicious to be even more obvious than every single Armenian/Azeri juror ranking the other last and all Moldovan jurors ranking Romanía first, why weren’t those results canceled aswell? 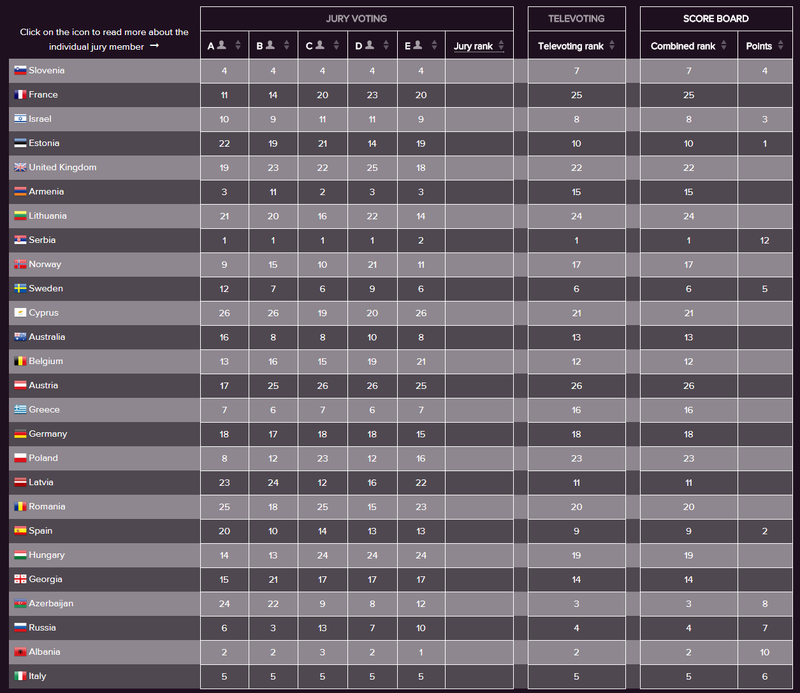 Wow…Montenegro is worst than Azerbaijan. At least Azerbaijan doesn’t deny their irregularities and pays lots of money to stay in the competition. These ones commit the crime and walk with their heads up. EBU should remove the jury or they should use juries from non-EBU-member countries (like USA, Canada). Montenegro, please, stay with us! Don’t let us down, we can’t lose a nation that always sends awesome balkanballads in their own language.